K.R. Mangalam World School took the initiative to create Road Safety Awareness in collaboration with Delhi Traffic Police by organizing a Debate Competition in the school premises on 17 October, 2017 to ensure that individuals are well informed about the rules they should adhere to while commuting on the roads. 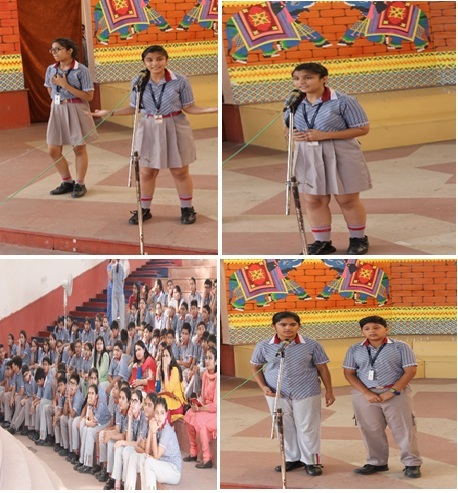 The Debate Competition was held for classes VI-VIII on the topic, “Road safety education is very essential in inculcating good safety habits among people.” This was a part of the School Road Safety Awareness Campaign 2017-18 organized by Delhi Traffic Police.